Last week, I received an invitation to: "An Oeuf Roe: a nine course degustation of eggs and caviar" at Provenance Food and Wine on Smith Street in Collingwood. After having a quick squiz at Provenance's website to find out what they do, my answer was a very enthusiastic yes! Knowing that the menu would be heavily based on seafood, I invited my semi-Pescatarian cousin Catherine to come with me (Hi Cuuuuuuuz!). We went on a Friday night, and after a mega-hectic week at work, I was totally looking forward to a nice dinner and some wine! This looked like a very cheffy dish, but tasted clean and fresh. 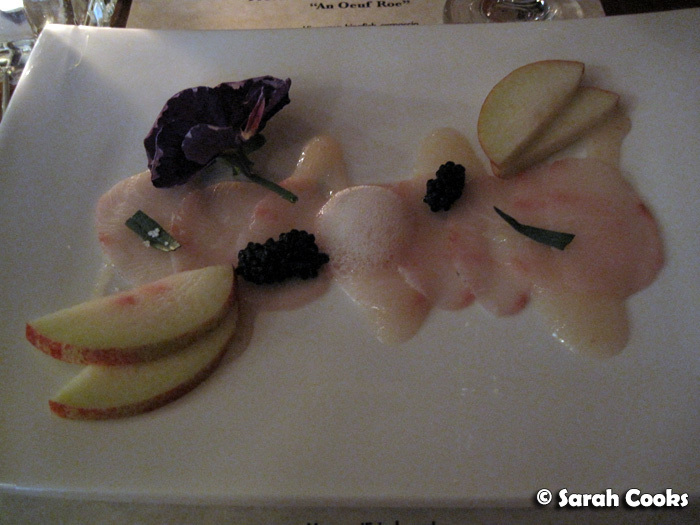 The kingfish, crunchy nectarine slices and slightly sweet puree matched well. I'm not sure if the tarragon added anything to the dish, but the salty pearls of avruga caviar balanced out the sweetness of the dish nicely. 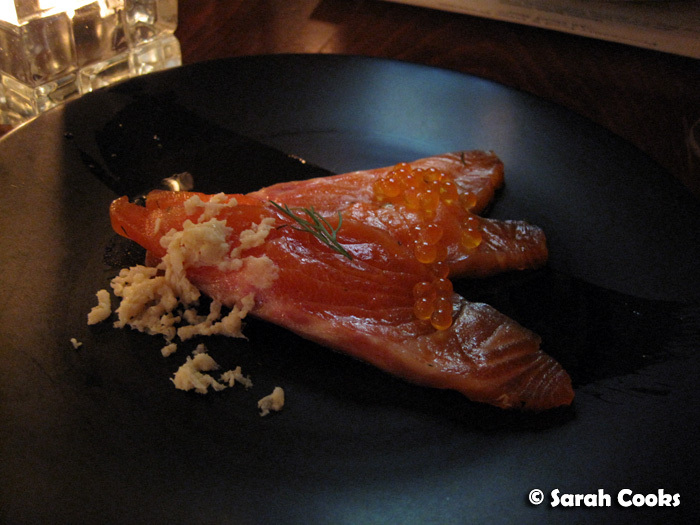 I greatly enjoyed this course (as y'all know, I love cured salmon and ocean trout!). The fish was soft, and the extra elements - horseradish snow, dill, and trout roe - added interest without detracting from the fish itself. I also enjoyed the pinot gris; it had a strong caramel aftertaste and complemented the salmon well. Even though I love it, I don't often eat tuna, due to it being overfished. So it's a very rare treat for me. 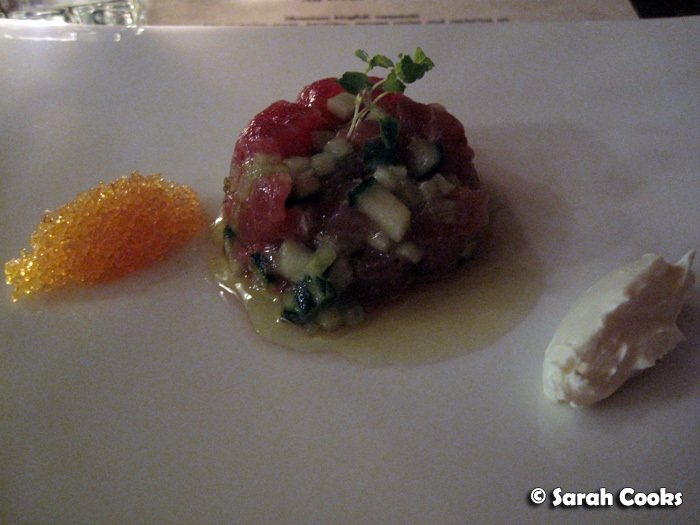 The tartare comprised super-fresh cubes of raw tuna, crunchy cucumber and some lemon oil. The bright citrussy taste of the tobiko perked up the tuna, but I think the creme fraiche masked the delicate flavours of the fish. 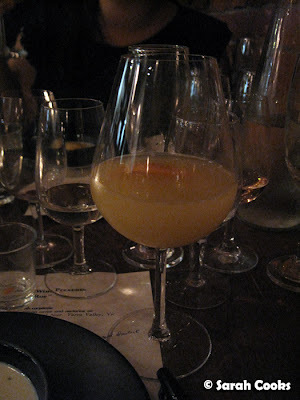 The accompanying wine (and remember, I am no wine buff) was very crisp, had what I would describe as a very short palate. I liked the cute presentation of the oyster! We were instructed to eat it "all in one go", and the wasabi tobiko was (thankfully) not as hot as I expected it to be, hehe! 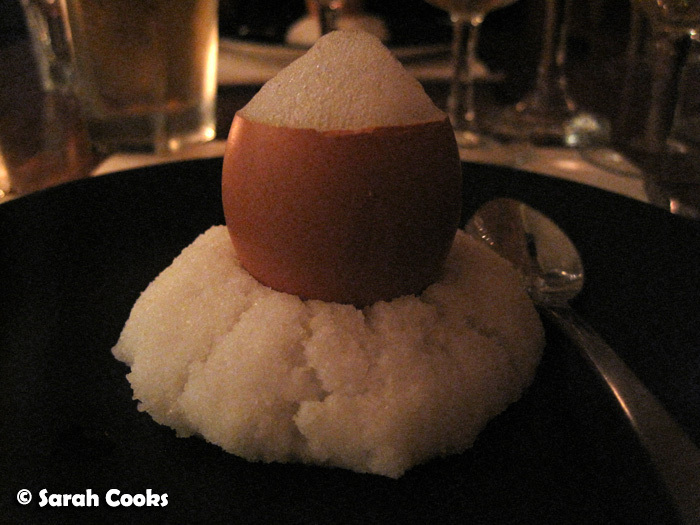 The fondant was, undoubtedly, my favourite dish of the night. (Potatoes plus butter equals good times). 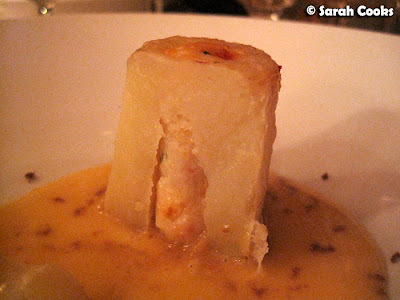 Inside the column of potato was some lovely prawn meat, and the salty bottarga-spiked butter sauce was delicious! 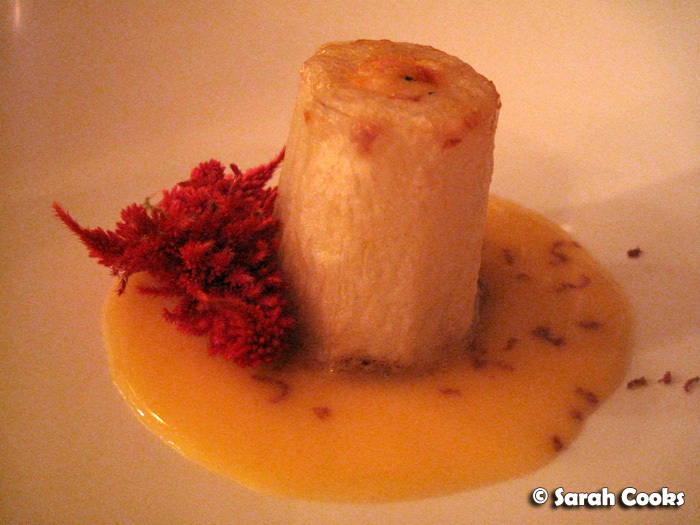 That fluffy flower is actually edible, soaking up the butter sauce. This modern take on the classic pea-and-salmon combo was my cousin's favourite dish of the night. 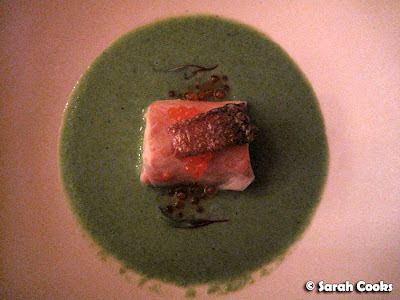 The salmon fillet was perfectly cooked, and wrapped in rice-paper, sitting in a vibrant pea-soup. 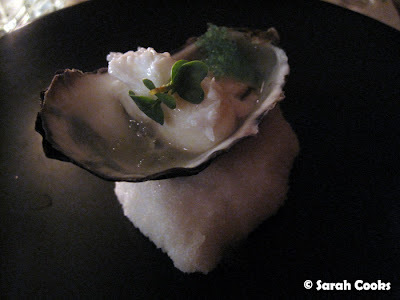 I loved the salmon crackle and the salty pearls of salmon roe. Our waitress told us that the roe is from the Yarra Valley, and comes from delicately hand-milked salmon (and yes, that process is exactly what it sounds like). And now, our final savoury course. 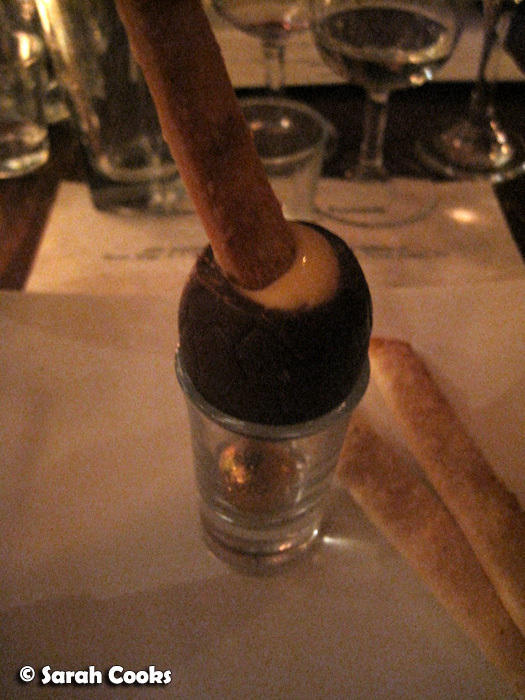 Inside that hollowed out little egg was a very softly set egg custard (like chawan-mushi), with little pieces of sea urchin roe. 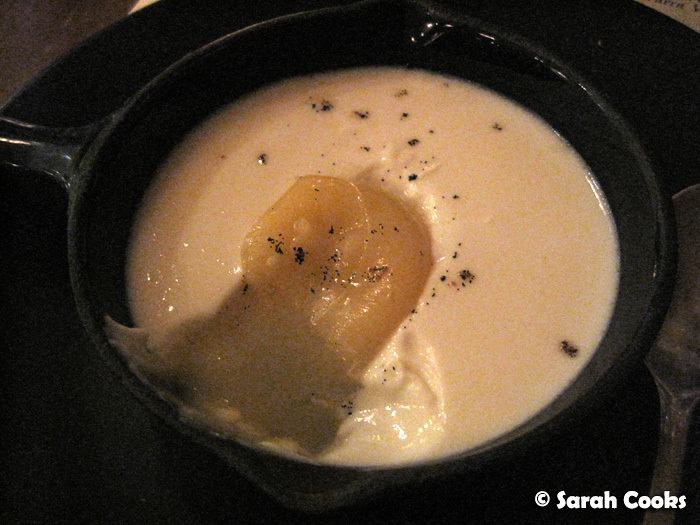 It was deeply savoury, thanks to the shiitake air and dashi, and totally delicious. It came with a Sapporo beer, which despite all the alcohol preceding it, was all too easy to drink. Kanpai! 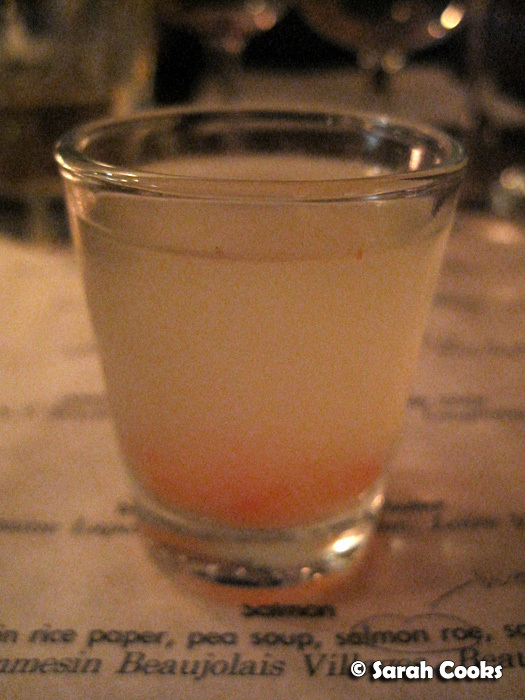 Between the savoury courses and dessert, we received a little palate cleanser of tomato consommé with salmon roe. I was amazed that the liquid was so clear, but had an incredibly intense tomato flavour. And after a short break, it was time for dessert! 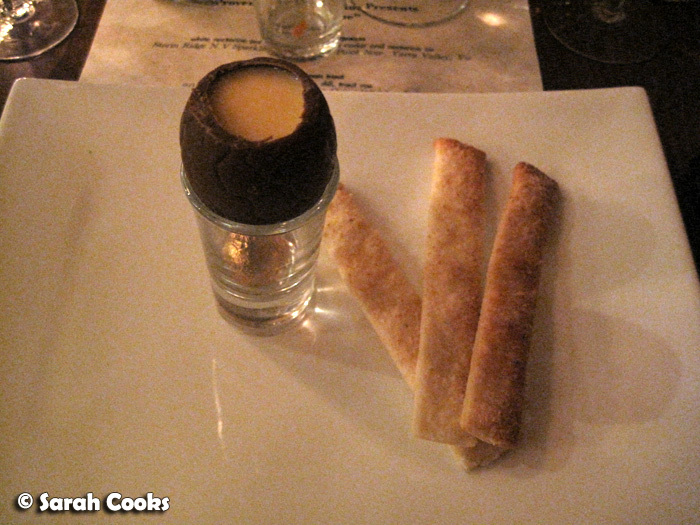 I liked the whimsical presentation of the jaffa egg - served without cutlery "like when we were kids". The bigger chocolate egg was made in-house, and filled with a citrus flavoured egg white custard. Our final course came with a non-alcoholic beverage - probably a good thing, considering how much we'd already drank by that stage! I thought the green tea was a nice, refreshing way to end a long meal. My cousin thought it had the aroma of daikon - perhaps this came from the peach skins during the infusion process? And how cute is this dessert? 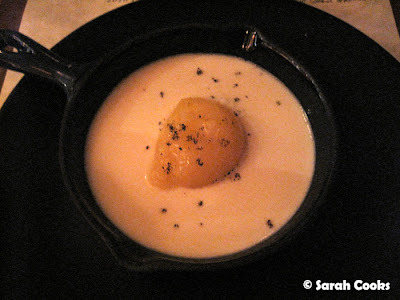 The white part is coconut pannacotta, with a mango "yolk", and the black specks of "pepper" are vanilla seeds. We had a great time at Provenance. 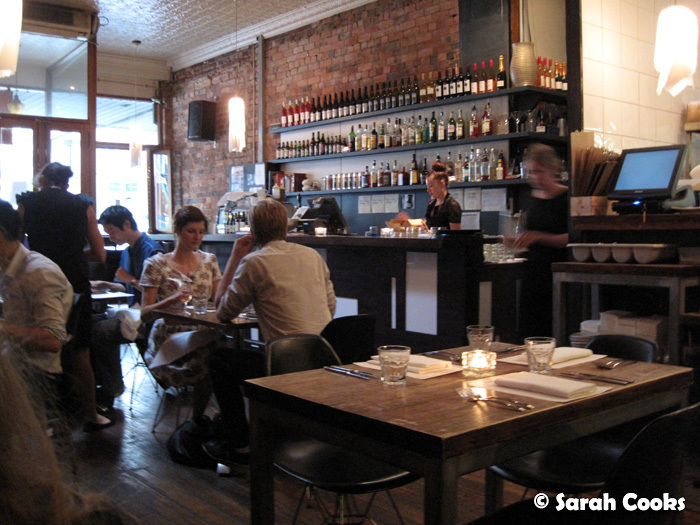 The atmosphere was warm and welcoming, and I thought the meal was very well balanced. Despite there being 9 courses, there was a good amount of food - not leaving us weighed down or still hungry. 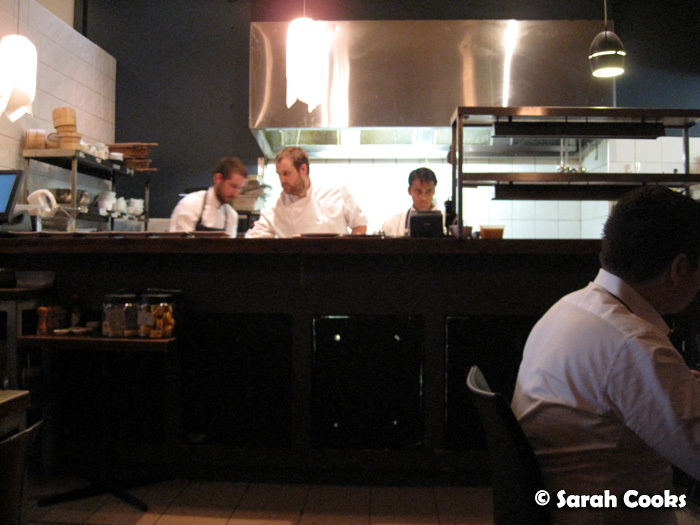 Our waitress was so nice and enthusiastic, and had a very in-depth knowledge of the menu and all the many ingredients. 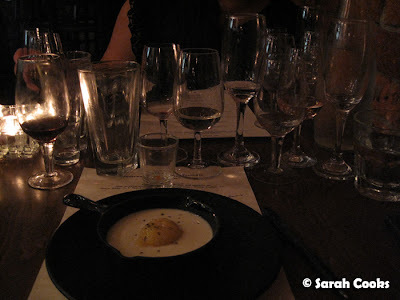 There were a couple of minor issues, like our wine being brought out slightly after the matching course, and our final course being brought out without a spoon, but overall the service was both professional and friendly. Provenance Food and Wine will be hosting another An Oeuf Roe degustation evening tomorrow (Sunday 26th Feb), so there's still time to try it out! It costs $85 per person, with $55 for matching wines. Degustation starts at 7pm. Bookings on (03) 8415-0700. Sarah and Catherine enjoyed An Oeuf Roe as guests of Provenance Food and Wine, with thanks to Dave Hynes for the invitation. The food here looks really great!